Dan Goldin of Exploding In Sound continues to write, review and promote relevant music that few people talk about. Goldin’s latest labor of love, Sonic Waves, is his seventh free compilation and available for download. Give it a listen and offer Mr. Goldin some support; after all, he is sifting through a lot of radio-friendly dead weight to bring these albums to the masses and asking for nothing in return. Or, at the very least, he’s asking for your attention. The never ending search for great music has become a little bit easier, thanks to SONIC WAVES, the brand new digital compilation from tastemakers ExplodingInSound.com. Download it for FREE [link below] today and come discover your next favorite band. The line-up is a dream come true for the folks at EIS, with songs from Karnivool, Oceansize, Alberta Cross, Dead Confederate, This Town Needs Guns, Native, Retribution Gospel Choir, Tera Melos, Sebastien Grainger, Shoes And Socks Off, Medications, Night Horse, Royal Bangs, Mojo Fury, The Library is on Fire, and many more. SONIC WAVES draws inspiration from a time when radio DJs played the music you needed to hear, rather than the station’s predetermined playlist. These are the bands keeping rock music genuine, intelligent, and explosive; these are the decade’s future legends. Fans of post-punk, progressive rock, alternative, grunge, and indie rock will surely find themselves immersed in the twenty one songs that comprise SONIC WAVES, a collection of brilliant rock music from around the globe. 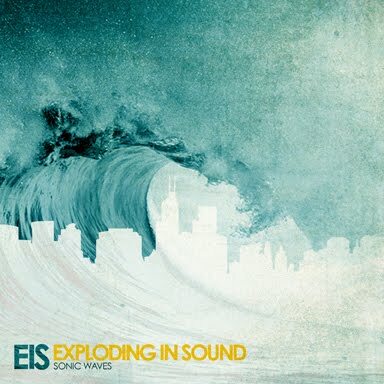 With every compilation Exploding In Sound seem to outdo themselves and SONIC WAVES just might be their masterpiece. Sharing of the compilation and the links to download is HIGHLY recommended and encouraged! Your friends are going to want to hear this, so spread the love. SONIC WAVES is a free compilation to be used for promotional use only, with a goal of reaching music fans worldwide, helping to provide great music to the masses. Word of mouth is always appreciated. Enjoy. Thank you to everyone who has promoted the previous releases, I can only hope you will continue to show your support for the site and our cause. To all those that are new to EIS, I look forward to working with you in the future. For more information about Exploding In Sound please visit www.explodinginsound.com. 10. Vending Machetes – M.O.